It’s impossible to avoid Tom Hardy. It’s wholly improbable that you’ve managed to survive the whole day without seeing his grizzled and chiselled face at some point. He’s currently starring in Child 44, about to star in Mad Max, and will star, doubly so, as both Kray twins in Legend. 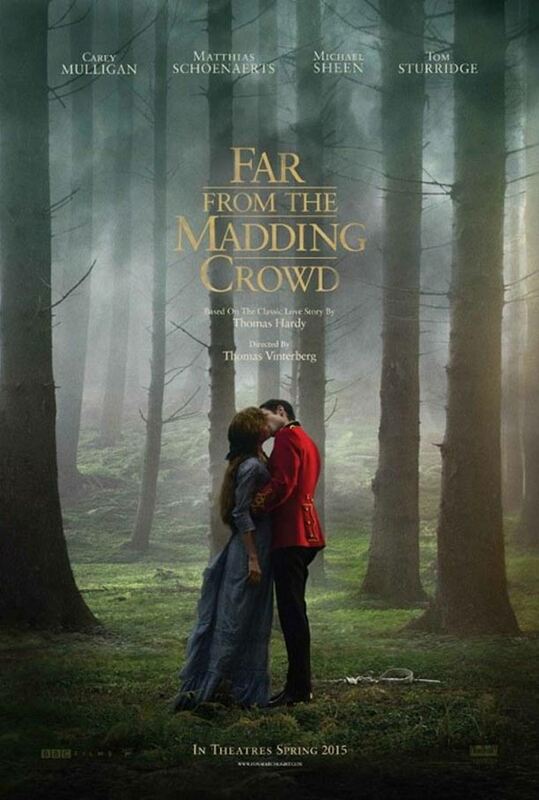 So omnipresent has Hardy become, that he’s only gone and written a period drama love story called Far from the Madding Crowd. He’s so much more than just a cockney geezer. Of course I jest, Far from the Madding Crowd wasn’t written by the inescapable Tom Hardy, but by the Victorian author Thomas Hardy. Danish director Thomas Vinterberg, most famous for forging the Dogme 95 decree with Lars Von Trier, has taken the odd decision to reincarnate Hardy’s famous novel for the fourth cinematic time. Remakes are far from sacrosanct these days, just look at the egregious decision to rehash Don’t Look Now, but Far from the Madding Crowd already has an outstanding adaptation. 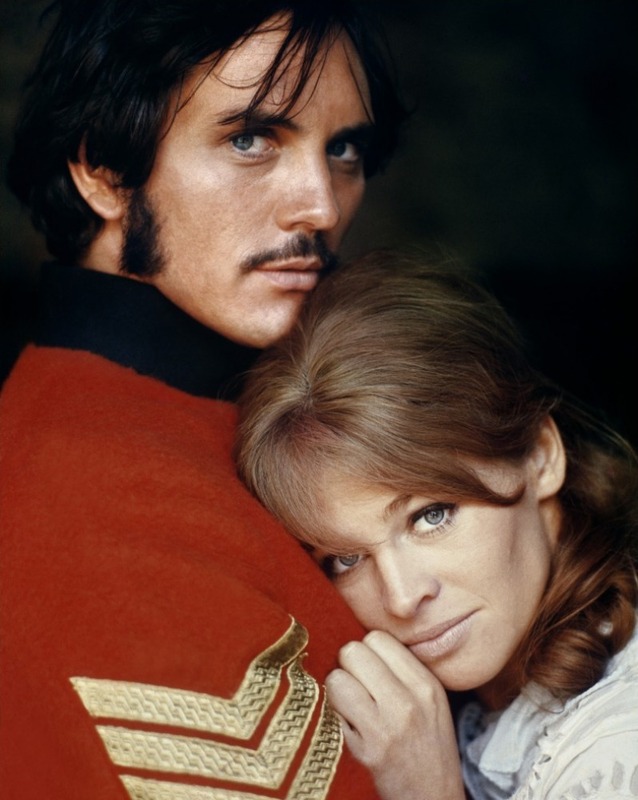 The 1967 rendition had Schlesinger and Roeg behind the camera, and acting icons Terence Stamp, Peter Finch and Julie Christie in front of it, a formidable ensemble to say the least. Trumping the original may be an insurmountable task, but Vinterberg’s version holds its own as a polished, captivating piece of period drama. While it may not have the magnetism of the Stamp and Christie axis, it does have a befitting and practical lead in Carey Mulligan as well as some outstanding cinematography. Hardy’s classic tale may revolve around a love triangle, more like a love square with three contrasting gents vying for the affection of the fiercely independent Bathsheba Everdene (Carey Mulligan), but Vinterberg’s film feels like an ode to rural England. Cinematographer Charlotte Bruus Christensen steals the show with her stunning depiction of England’s green and pleasant land. Almost every scene is flushed with luscious strokes of light that radiate across the rolling hills, misty forests and sweeping fields. The film’s effortless glow not only inspires a peaceful serenity, but evokes a fairy tale setting befitting of a love story so heavily wrapped in tradition. Christensen’s mastery of light, the very essence of cameras, is a truly glorious spectacle, powerful enough to sway even the most ardent urbanite into ditching their concrete surroundings in search of a pastoral haven. In Contrast to the expressive landscapes is the way the story is depicted and unfolds. In a heavy dilution of Dogme 95’s rigid manifesto, Vinterberg largely shoots in a static close ups. The most glaring example is when the camera fixates on heroine Mulligan. Her boyish beauty and unblemished face looms large in the unblinking eye of the frontal focused camera. By setting the focus on the faces of the leading quartet, more often than not leaving only one in frame at a time, he allows the actors to flourish. Rather than rely on kinetic energy and volatile emotions, the film’s strength comes from the subtle expression of these bridled passions. In a Victorian world oppressively governed by social etiquette, raw emotion is only spotted fleetingly between chastising vows of self-restraint. Bathsheba’s hands wring with guilt and tremble with lust, while suitors William Boldwood (Michael Sheen) and Gabriel Oak (Matthias Schoenaerts) coyly gaze from afar at the object of their affection. 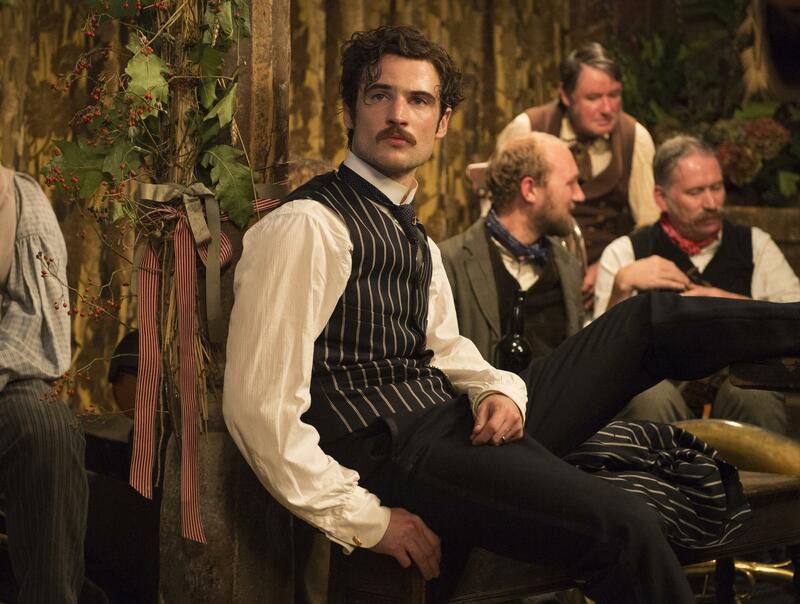 Even the unctuous Sergeant Frank Troy (Tom Sturridge), despite being the most cavalier and seductive of the male trio, saves his lustful desires for the concealed sanctuary of the forest, far from the public domain. David Nicholls’ adapted screenplay sparsely populates proceedings as Vinterberg champions the idiom actions speak louder than words. For the most part, the central love story glides along placidly like a dreamy trip down stream. The understated and dignified retelling of events, despite paving the way for quality drama, never flares into impassioned outbursts even when the story reaches its emotion crescendos. A musty sexual tension hangs heavily in the film’s air, but that’s all it does. There’s no fiery relief to be had beyond a feeling of contentedness which stops the film from whisking you away into it the drama. The casting of Carey Mulligan as the untameable Bathsheba sums up Vinterberg’s practical approach to the adaptation. Mulligan’s earnest nature is key to her, and the film’s success. Unlike Julie Christie whose looks dominated her appeal, Mulligan is wholesome and attractive in the fact she’s utterly convincing when she mucks in with the farm work. In a film dominated by men the world revolves around Bathsheba and that’s down to the strength of her performance. Newcomers Schoenaerts and Sturridge, playing Oak and Troy respectively, are overpowered by Mulligan’s battling persona. Sturridge in particular never fully convinces or connives enough to be the buccaneering wild card that tests Bathsheba’s revolve. It’s only Michael Sheen who holds his own as the nervous, slightly desperate, elder statesman William Boldwood. Each of the three men embody a contrasting allure of characteristics to Bathsheba, but it’s only Sheen who goes beyond the stock character to add personal ticks and touches. 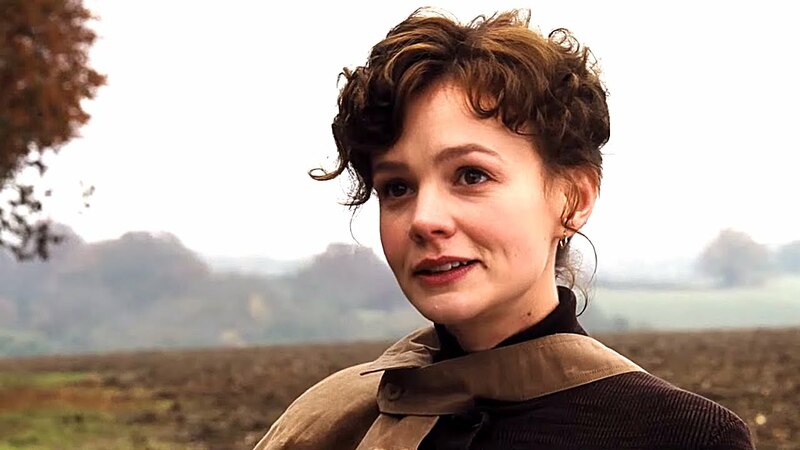 For someone who usually dreads the thought of a Jane Austen inspired period drama, I found Far From the Madding Crowd an oddly endearing spectacle. The combination of relatively sedate storytelling and inspired cinematography was twee and reassuring. I often use the label ‘BBC Sunday afternoon drama’ as a disparaging put down of safe, historical dramas, but here the phrase can be applied fittingly without any negative connotations. This latest adaptation of Hardy’s much treasured novel isn’t going to pull up any roots, in fact it’s unlikely to trouble the 1967 version’s cult status. It is however, enjoyable, quality drama that’s worth escaping to in the frantically maddening lives we lead.